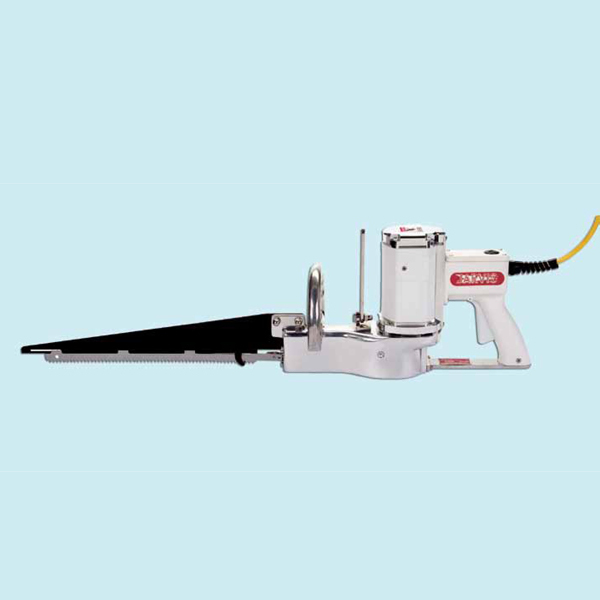 The Jarvis Model SER-02-U electrically powered reciprocating saw for production breaking and general purpose use. • The Model SER-02-U is an electric suit able for production breaking and general purpose use on beef, hogs, sheep and veal. • Lightweight – 16 lbs (7.3 kg) for ultimate flexibility. • High speed for good cutting performance. – Cutting forequarters, shank bones, primal cuts, aitch bones, brisket opening and splitting.